Universitas Gadjah Mada’s student nature enthusiasts joining MAPAGAMA UGM group are ready to do an expedition to Satun Geopark in South Thailand. Previously, they did training from 18 - 24 April 2017 in Luweng Jaran, Pacitan city, and Gunung Sewu Geopark. 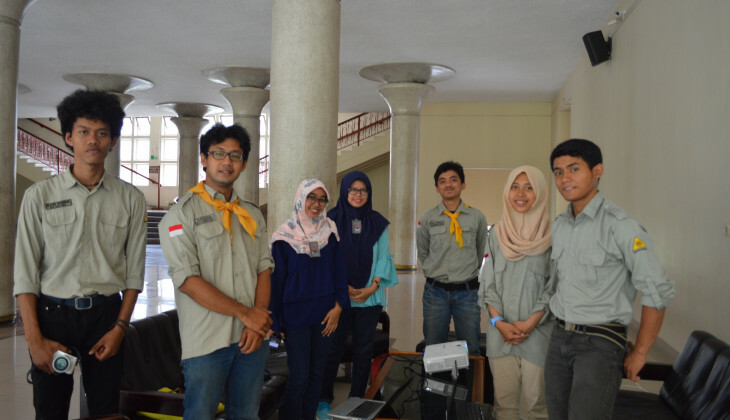 Such was said by Muhamad Ilham, Geology student, and Naufal Ahmad Dwijadiputra, Economic student, at the Balairung UGM on Thursday (27/4) prior to the departure of seven athletes and two managers for the UGM International Expedition IV titled Cave Exploration: Under the Sacred Land on 29 April 2017. “The UGM International Expedition IV team is all ready to go to the Satun Geopark in South Thailand,” said Naufal Ahmad Dwijadiputra. Naufal added the nine pople would be dispatched on 29 April 2017 from the campus and return on 26 May 2017. In Thailand, said Naufal, the team would arrive in Songkhla to meet officials from the Indonesian Embassy, Indonesian Students Association (PPI), and Songkhla Rajabhat University which oversees Satun Geopark. They will stay there for four days for further preparations ahead of the expedition. Muhamad Ilham said the expedition would focus on the district of Thung-wa in the karst area of Satun Geopark. The team has found out over 30 points of entrance to the caves. “During the cave exploration, we will look for cave entrance and make geomorphological observation, followed by classification of cave entrance for speleogenesis mapping and observation,” said Muh Ilham. At the end of the expedition the team will present the results to the Songkhla Rajabhat University, the Indonesian Embassy, and the PPI. Later on, Songkhla Rajabhat University will be invited for discussion and cave exploration at Gunung Sewu Geopark. "Through these two planned activities, we hope to establish wider collaborations with Songkhla Rajabhat University for student’s role in development of the concept of geopark or speleology of international scale," said Ilham.